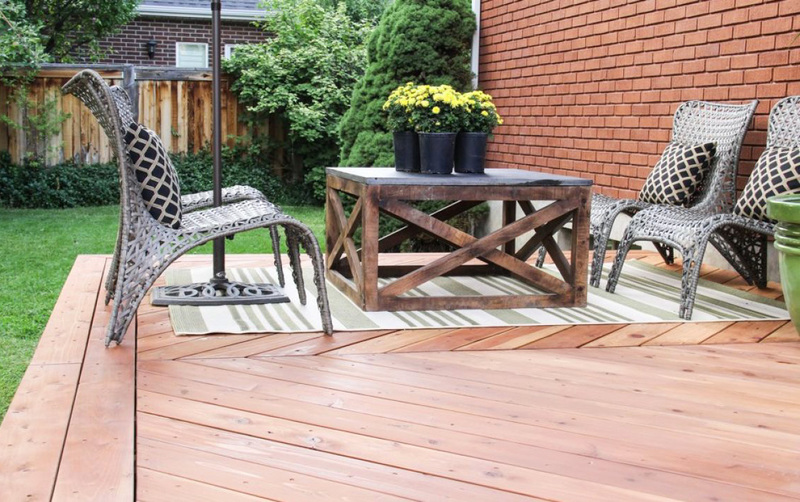 To be honest, an outdoor living space is more appealing than the indoor one. But not any furniture is meant to be outside. 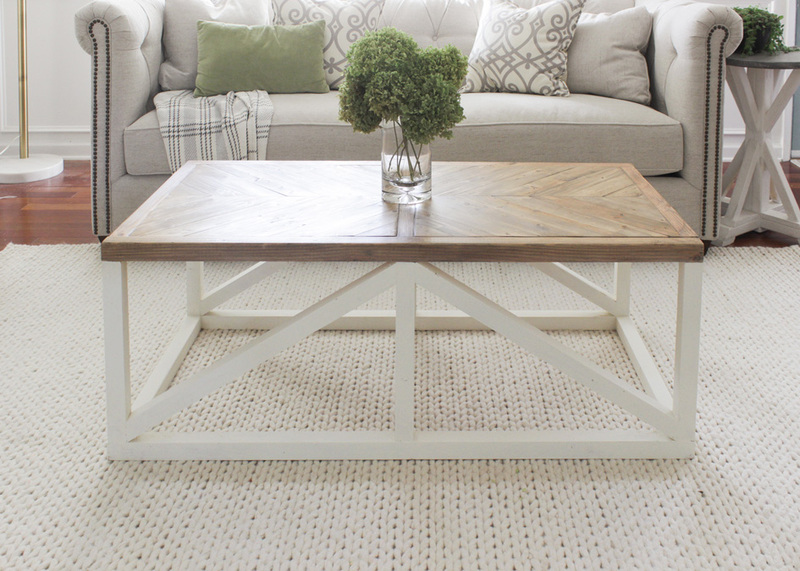 To have a weatherproof coffee table like this one, you’re going to need square stone piece to be the tabletop, lumber to be the base, corner posts, boards, pocket screws, wood glue, sandpaper, and stain. The following is the making steps. Cut the wood and drill pocket holes on the boards. Attach the boards so that it makes the X shapes using wood glue and pocket screws. Fill any holes with wood filler. Sand the entire surface. Stain the table and let it dry. Put the top over the base. If the previous one applies X-shaped base, this coffee table implements herringbone shape. You could see it becomes the design of the tabletop and the base as well. 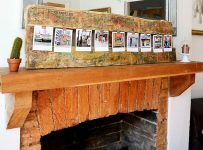 Now, if you want to make one, you’re going to collect boards, thick plywood, screws, gauge, sandpaper, wood stain, wood filler, and wood glue. Attach side frames to tabletop. To the sides, attach base width frame. Place wood inlay pieces on top. Fill any holes and cracks, and let it dry. Sand the whole surface. Using brand new materials for DIY projects is natural, while using some recycled ones is creative. The latter happens with this glass top coffee table. The designer says it is super easy. But first, you’ll need pallets, wheels, screws and screwdrivers, white paint, brush, sandpaper, and the absolute glass plate. And then do the ‘super easy’ job. Sanding, painting, attaching the wheels, and putting the glass plate will be the only works needed. After that, you’re done! A group of boards, apparently, could benefit you in giving fresh and unique appearance, if you know what to do with them. The easy example is turning them into a small coffee table. Besides the boards, the other materials you’ll need are hairpin legs, wood screws, sandpaper, and polycyclic finish. Firstly, cut the boards and set them to form the final look you desire. Mark the spots where the legs will be. Secondly, lay out the middle and top layers above. Thirdly, screw all the boards intact. You should do it per layer. Next, attach the legs. Sanding everything will be your final step and then you get your own board coffee table. Congratulations! 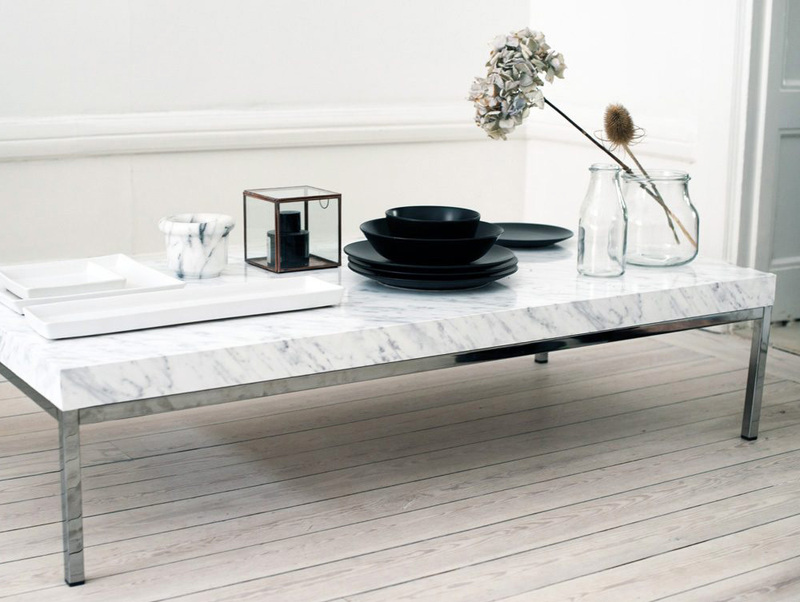 You could own a marble coffee table now with a cheaper price. Well, it’s not the real marble though, but that’s enough to get everyone fooled. By only pasting a faux marble contact paper over your plain table, you’ll have a satisfying result effortlessly. 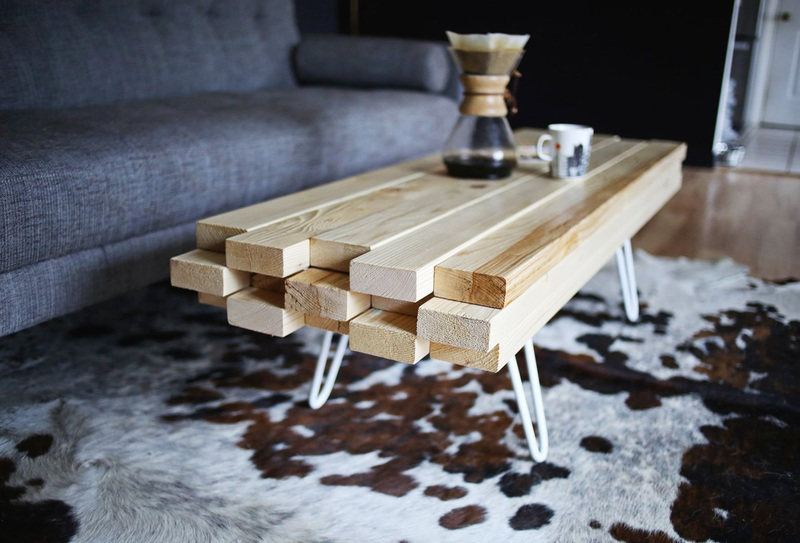 For a beginner woodworker you probably are, this coffee table would be perfect to start with as it doesn’t need hard labor. 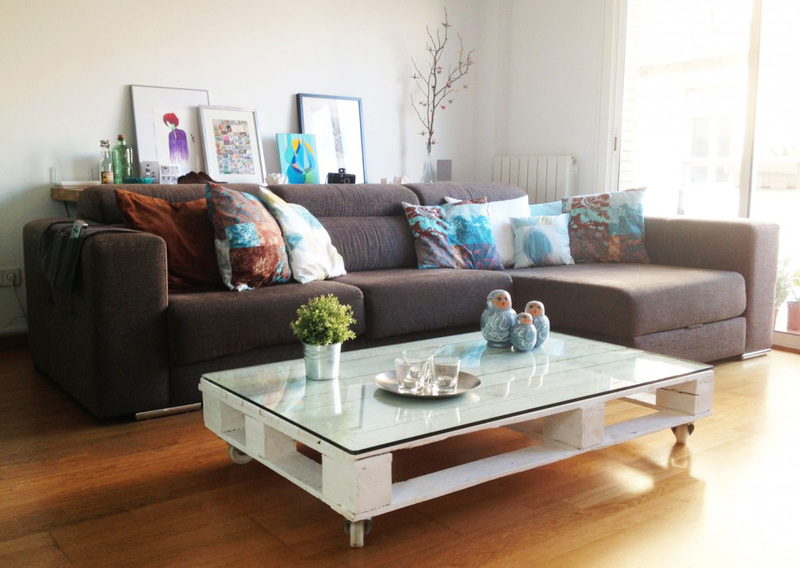 Prepare the supplies first before executing this DIY project. The supplies are lumbers, wood glue, sander, white wax, wood tint in grey and walnut and home décor chalk in black. Build the sides of the base by assembling two squares. Connect both sides by attaching four side rails. Attach also the center support. Build the tabletop by gluing six lumbers side by side, and then attach it to the base. Sand every surface before finishing. 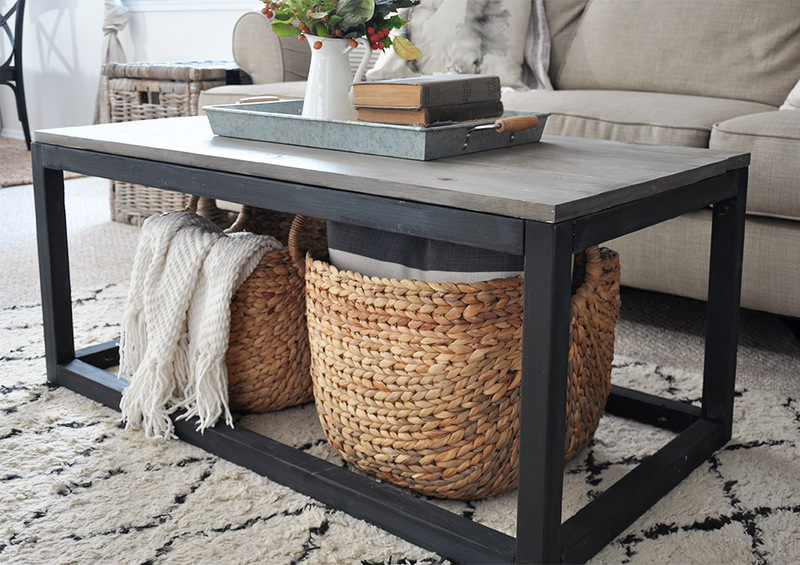 Do you know how much you’ll save by doing this coffee table yourself? It’s $954, ladies and gentlemen! 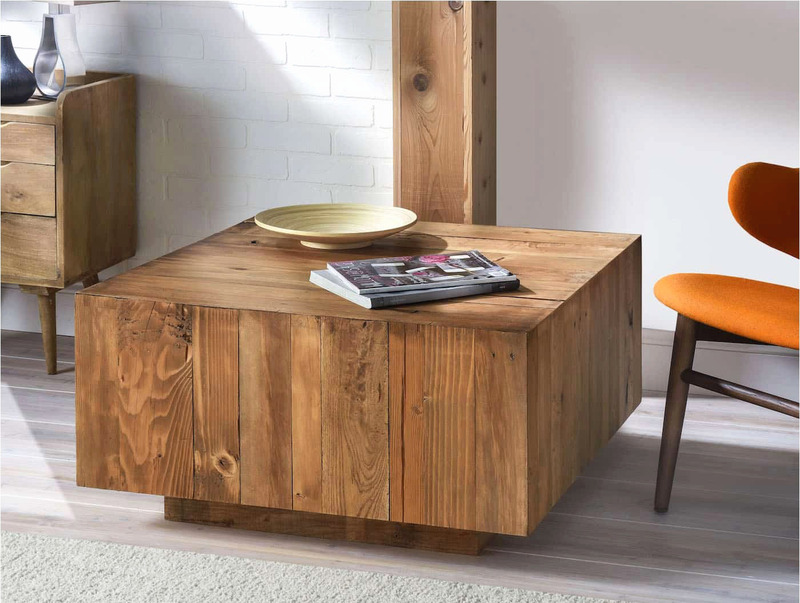 The store has this product available for purchase with $999 price tag, while the budget you should allocate to build a coffee table with similar shape and design is only $45! Wow! Prepare old pallets, pine plywood, wood screws, corner braces, various clamps, pencil, tape measure, wood glue, wood stain, cloth, and goggles for your safety. You’re going to work using these supplies with drill, nail gun, planer, miter saw, and table saw. 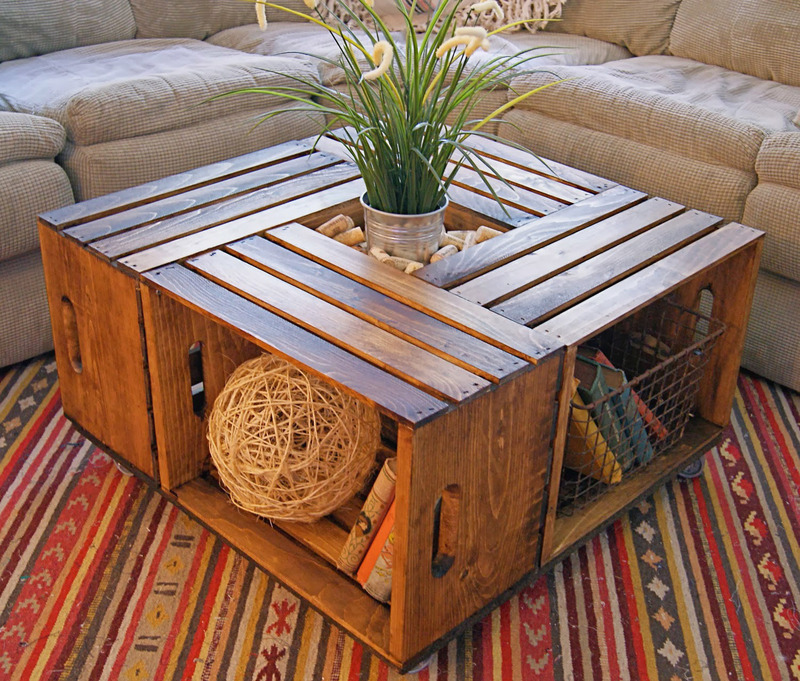 Don’t underestimate the use of wooden crates if you see ones because you could build a classic looking coffee table with them. Materials you must prepare are wood screws, wooden crates, and wood stain. Or, if you couldn’t find any crates, just build them using a board and plywood. Step one: attach two crates together in a way that the open side facing towards you using wood screw. Repeat this step until you get four crates attached to each other. Step two: sand the entire surface and stain it. Step three: fill in the square in the middle with some accessories. 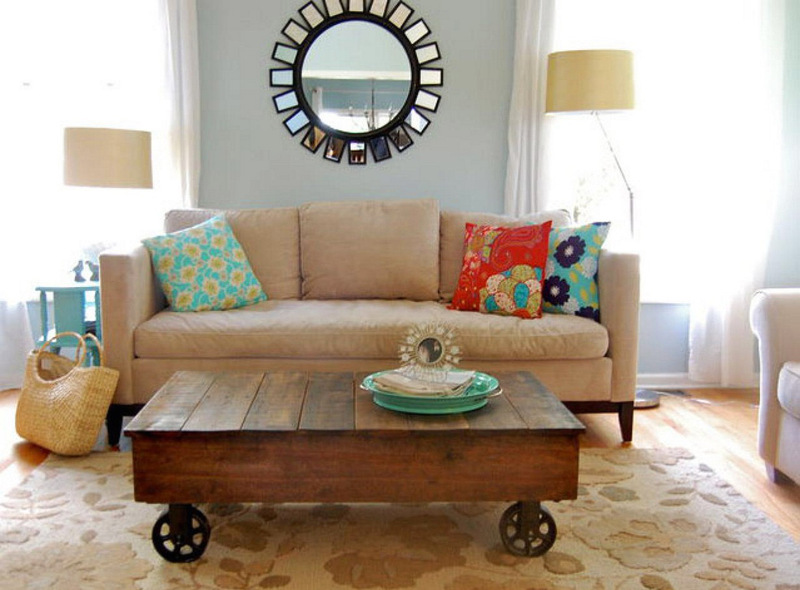 Upgrade you soft toned living room with a coffee table that has a strong vibe, like this factory styled one. 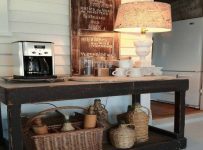 To have this kind of table, you’re going to need pine boards, wood screws, finish nails, wood glue, wood filler, stain or paint, brush or rags, spray can, sandpaper, measuring tape, drill, carpenter’s square, hammer, and saw. Speedy and stylish are the best words to describe this last DIY project. 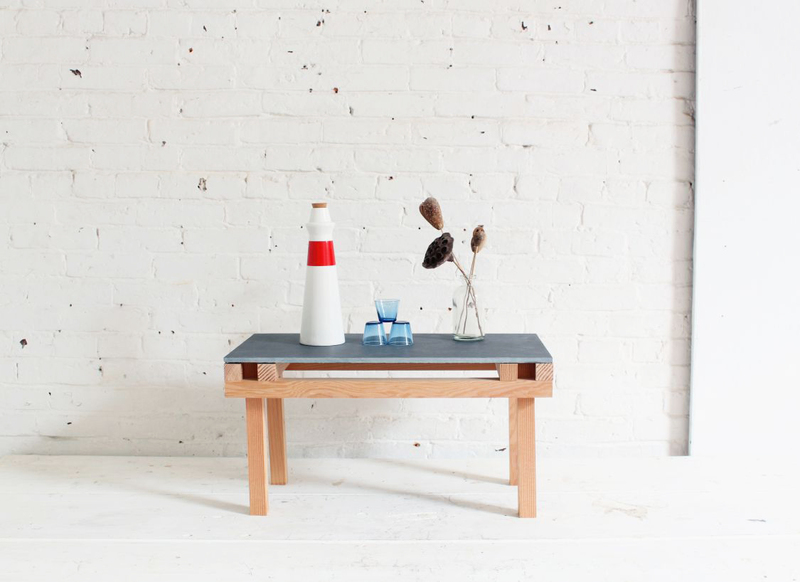 It’s fast since you only have to spend 30 minutes in building this coffee table. It’s also fashionable because of the tabletop material: slate tile. The other supplies and tools you have to prepare are balusters to be the legs, screws, chop saw, drill, glue gun, and sander. Use a glue gun to attach the top to the base. And you’re set. 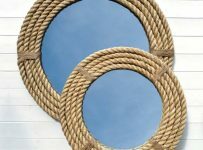 Cheap, easy, and adjustable are the reasons why we encourage you to do the DIY unique coffee tables projects. However, remember to use safety gear every time you do the job, because you should enjoy your creation in a complete health.